Vacation rental house. Sleeps 3, 1 bedroom, 1 bathroom. No pets allowed. Flat screen TV and WIFI. Sports package just added! Kitchen tidy and perfect for two to cook and move around. Queen bed with desk and dresser, full closet. Cozy open living and kitchen area. Single pull out sofa for that extra person. Linens available on site. New mattress, very comfy. No complaints! 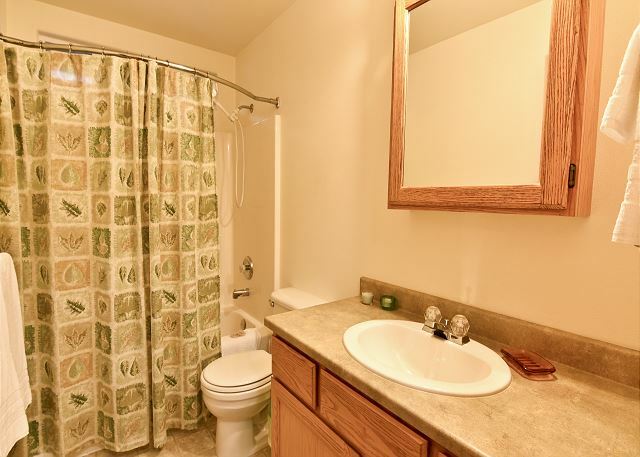 Nice sized bathroom for this unit! Charter fishing boats nearby for hire. 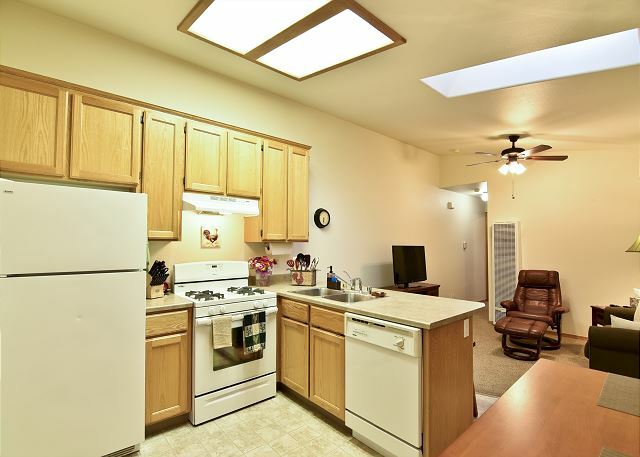 Come to Vista Point Casita, a 1 Bedroom Home Away From Home. 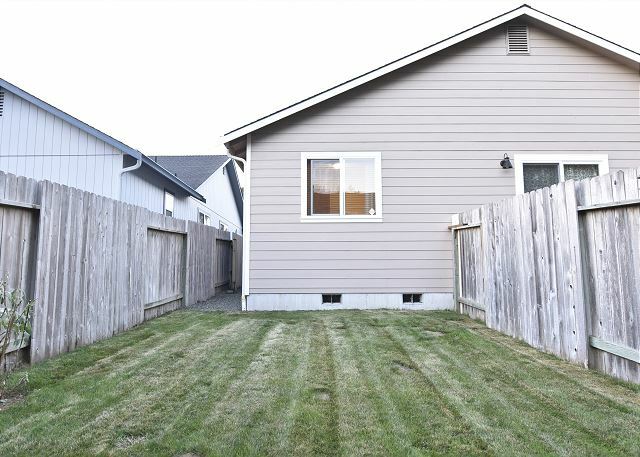 This cute little casita is a duplex apartment located in a quiet neighborhood in McKinleyville, CA. 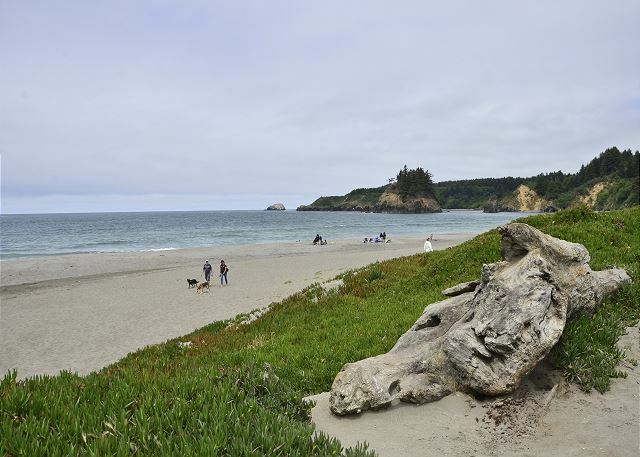 It’s very close to beaches and redwoods, yet minutes from town. 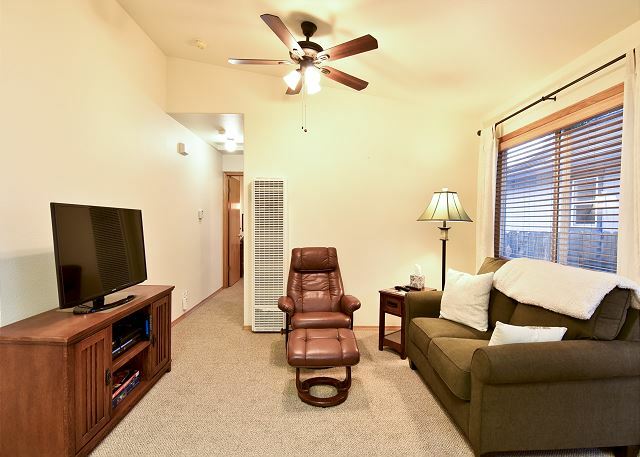 This vacation rental in McKinleyville is conveniently located in town yet offers the quietness of a bedroom community. The duplex features newer construction with modern amenities. It is equipped with a Washer & Dryer, Smart TV, High-speed Wireless Internet, a Private Single Car Garage, Queen bed, full kitchen with all the necessary essentials, and private yard. 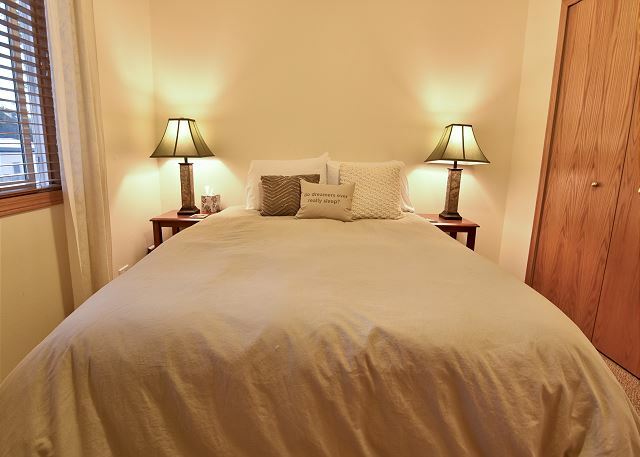 Come to Vista Point Casita, a 1 Bedroom Home Away From Home. This cute little casita is a duplex apartment located in a quiet neighborhood in McKinleyville, CA. It’s very close to beaches and redwoods, yet minutes from town while offering the quietness of a bedroom community. 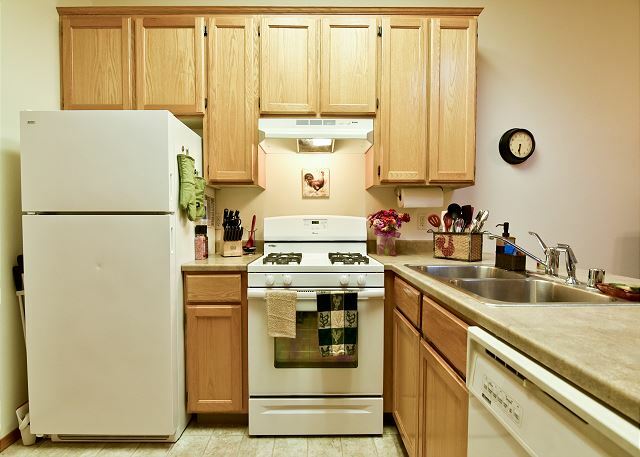 This duplex features newer construction with modern amenities. 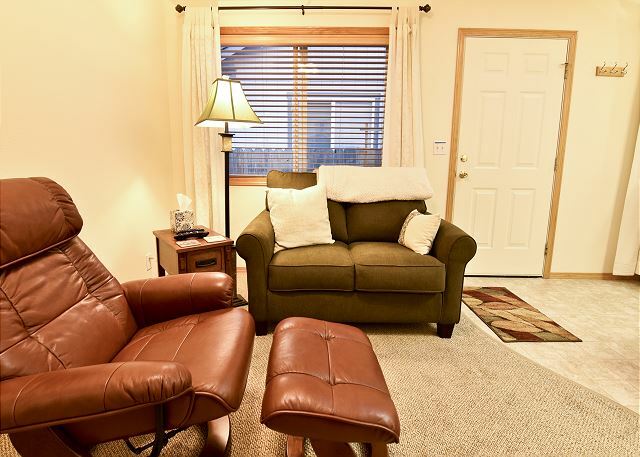 It is equipped with a Washer & Dryer, extended cable TV, High-speed Wireless Internet, a Private Single Car Garage, Queen bed, full kitchen with all the necessary essentials, and private yard. You can take a short bike ride to beaches or to the Vista Point and overlook the ocean and watch whales when in season. Hammond Trail is nearby for both walking and biking. You have a cozy back yard too. 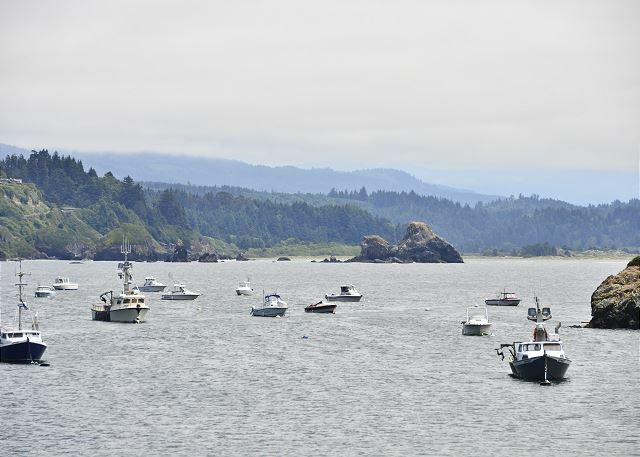 Just about 10 minutes from lovely Arcata or Trinidad, and another 15 minutes or so to Eureka. Redwood National Park is a short distance to the north with Avenue of the Giants to the south. the unit was GREAT!! We enjoyed everything about it! Very happy to hear you enjoyed your stay at Vista Point Casita! We'd love to have you back again for another visit the next time you are in the area. 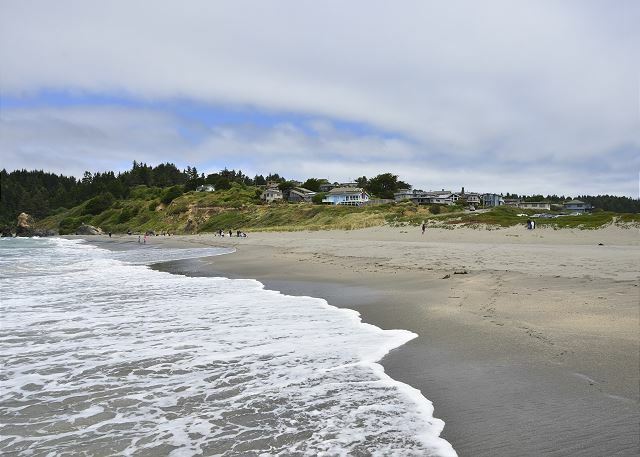 Please look us up at Redwood Coast Vacation Rentals when planning your next trip to the North Coast, and thanks for taking time to leave a review! All was clean, neighborhood quiet. Nice to have a garage in which to park car. Great base for visiting family. Thanks, Carol! Nice having you with us again @ Redwood Coast Vacation Rentals. Hope we get to have you as a wonderful guest again. Logistics was perfect! Great parking, lock box easy for key retrieval. Once in place looks great. Just like pictures! Furniture comfortable, especially bed!! It was the perfect location to many places and always easy to get back to in the evening. When I plan my next trip, I will see if it’s available. Perfect for three people. Worked out for us! Thank you! Accessible, Compact little refuge for months! My husband and I needed a refuge from our own McKinleyville home while remodeling. I use a walker, can climb only a few stairs and needed an adaptable husband worked long hours daily with our remodeling crew and wanted to be very near home. Samantha, the property manager, helped us find this Casita--which has been practically perfect! We loved Samantha's flexibility and warmth. This Casita came well-appointed for a long stay, with sweet touches like locally-made soap and a friendly gardener. It was squeaky-clean when we arrived and easy to keep clean. Breezes swept in through trees in the bedroom even on warm days. Trinidad, with its beaches and eateries, seemed as close as Arcata. 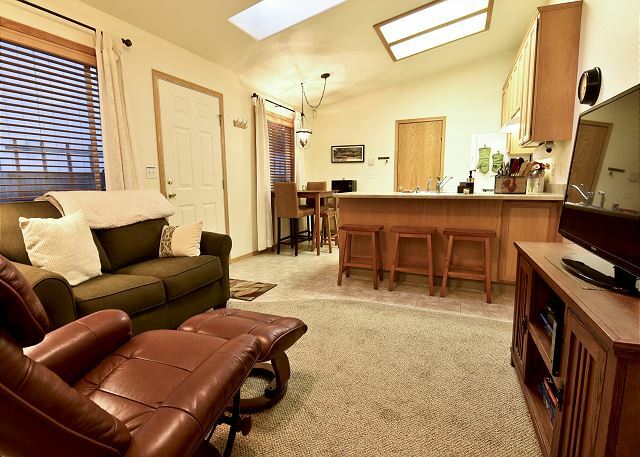 We totally recommend this Casita and Samantha to you if you seek a getaway--or an escape from psychotic remodeling! Thanks, Joy! It been a pleasure working with you! Conveniently located to the fwy. with space, upto date furnishings, w/d, garage and layout that made my stay comfortable and easy for relocating and starting a new job. The only thing that wasn't very desireable was the next door neighbor's construction/land clearing equipment in driveway and fixing parts there. The other neighbor that shared the duplex, Barry, was very nice and neighborly. Thanks for having a nice stay with us while waiting to get into your new home! Hope you can refer us to all your friends with Redwood Coast Vacation Rentals! Everything imaginable that you need is provided except your personal items and groceries for a worry free stay. Thanks! Hope you can recommend to all your friends and family as well. Thank you for choosing Redwood Coast Vacation Rentals! Excellent place to stay. Everything supplied to make your stay easy so you can concentrate on your vacation. Everything imaginable is supplied for a very comfortable say. Thanks Janet! We love you, too! I was completely surprised to find how everything you can imagine was supplied for a comfortable stay. It makes me feel like I am at home here. The home is immaculate. It is a well maintained vacation home. Thanks, Janet! Enjoy your stay!